Spread the word: guitar - especially electric guitar - isn't riding high anymore. Six strings are the has-beens and guitar players need to deal with it. At Audiofanzine, we know mourning isn't easy, so we want to be by your side through this oh so difficult moment. And what's more, we want to give your favorite instrument a second life! So don't throw your guitar into a dark and somber corner just yet, it can still be useful. How? Transforming into a synth, obviously! Not sure? You wouldn't be the first... nor the last. People have been trying to imitate the sounds of keyboard instruments with a guitar since the '60s. One of the most notable examples is that of the Guitorgans – guitars with built-in electronic circuits capable of producing organ sounds. Several manufacturers put quite some effort into it, like Vox who adopted the concept and popularized it, especially with the V251. At the same time, other adventurers from the audio world experimented with external boxes resembling the future multieffects systems. You just had to plug your guitar into the box and tweak some buttons to modify the signal like a synth. It would be Maestro, a fuzz pioneer, who really left a mark with the groundbreaking USS-1 Universal Synthesizer System. The '60s saw the birth of the first "guitar synths" but the world had to wait until the '70s for more powerful machines to come to life. 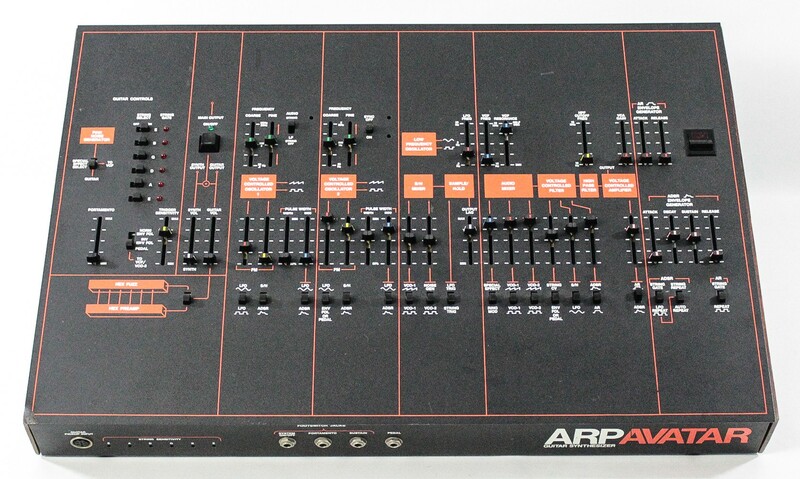 1977 would see the introduction of the Avatar by ARP, an extremely popular synth specialist back then who wanted to take by storm the guitar market. They came up with a synth which was a copy of the legendary Odyssey but which could handle the signal coming from an electric guitar. The Avatar is considered the first guitar synth produced in large quantities, but, unfortunately, it wasn't much of a commercial success due to its price, which would only contribute to the demise of the manufacturer. Surprisingly, lots of people would adopt it as a pure synth years later. Ironic, isn't it? 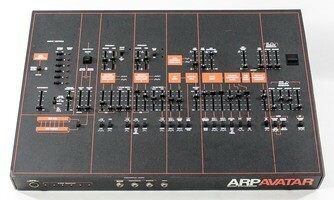 The same year that ARP introduced the Avatar, Roland did the same with the GR-500. The Japanese manufacturer had quite some experience with synths already and had set itself the same goal as ARP: convert guitar players. But their approach was different, because the GR-500 required the use of a very specific guitar created by Ibanez for Roland: the GS-500. The machine was praised by the experts but shunned by the public, which only motivated the brand to work harder. 1979 would see the arrival of the GR-300, which followed on the footsteps of its predecessor, but added the possibility of being controlled with the feet! 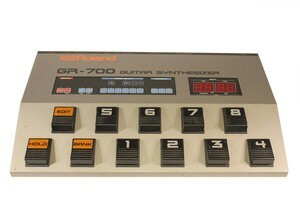 The formula would keep on evolving and in 1985, the GR-700 incorporated MIDI. 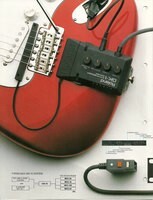 But it still had the same major issue: you had to use a Roland guitar. 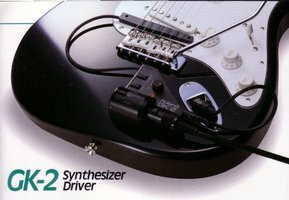 Fortunately, one year later the GK-1 would revolutionize the market: it was a pickup you could install on the body of the guitar and allowed you to use the brand's guitar synths with any guitar. 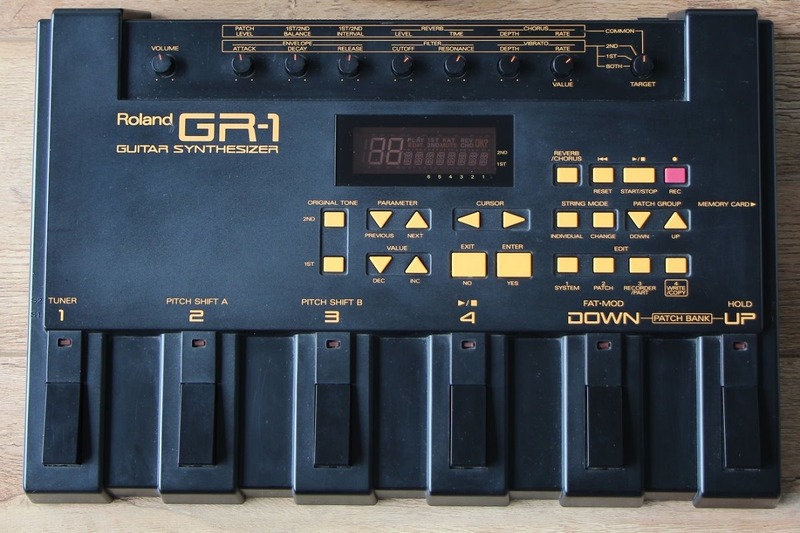 In 1992, Roland would enter the modern world with the GR-1 synth guitar and the GK-2 pickup. The days of endless cables and tracking problems were finally over!. The new pickup and the digital nature of the GR-1 finally provided a simpler and more comprehensive experience. 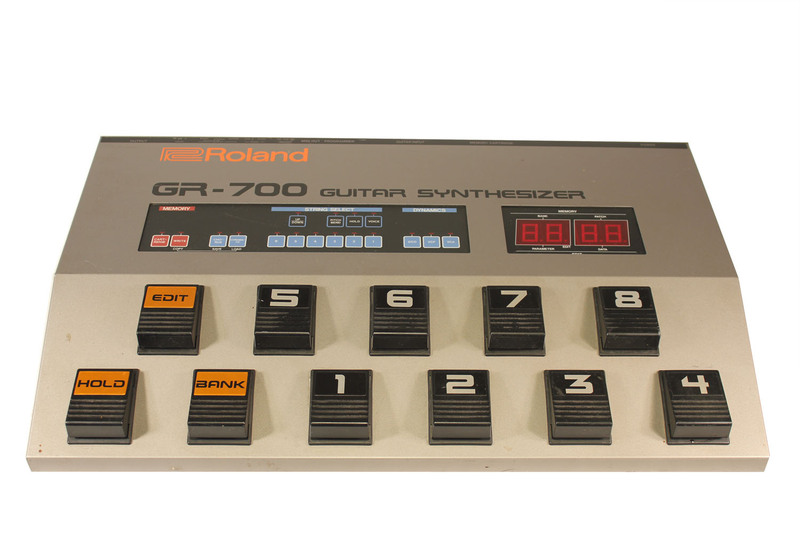 Roland still manufactures synth guitars and they all spring from the GR-1 and GK-2. 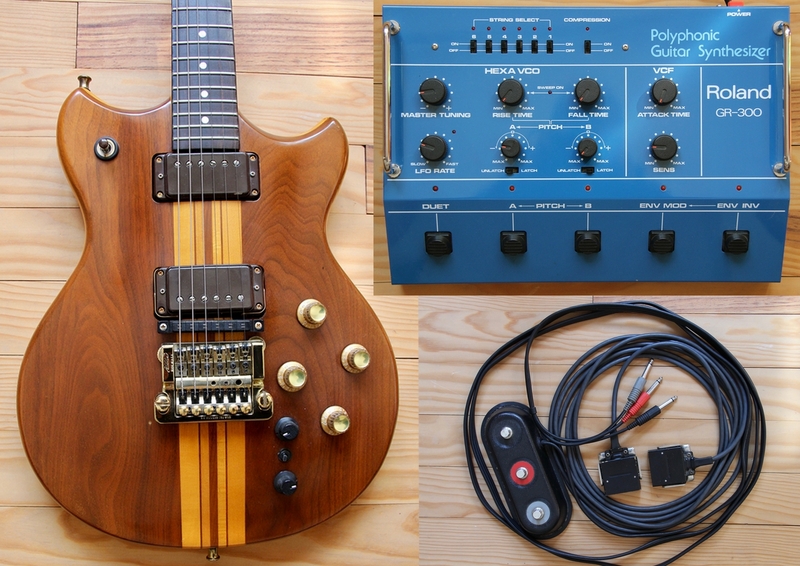 By now you are probably more comfortable with the idea of turning your guitar into a synth. After all, you would only be adopting a tradition that is way older that you thought! There's no need to consider yourself a heretic. And now that we've got that out of the way, let's look at the different solutions currently available to bring your good 'ol guitar into the modern world. Roland's legacy is so rich, that you can still see hexaphonic pickups and guitar synth modules in 2018. The principle is simple: you just need to put a small device on the body of your guitar which detects the motion of each of the six strings (so it is possible to process each string separately). Most systems are easy to implement and don't require any modifications to your guitar. 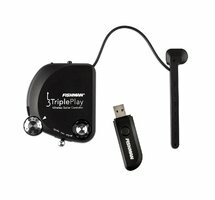 Among the best pickups in the market are the Roland GK-3 and the Fishman Triple Play. The latter is particularly interesting because it is wireless! It comes with a USB receiver that allows you to plug it into a computer and, thus, use your favorite software to create original sounds. Besides the synth to generate sounds, the older generation of devices often requires a MIDI converter to transform the signal detected by the pickup into MIDI data (like those of Roland, Axon and Sonuus). Today many models feature both converter and sound generator in the same package. So you only need to buy a pickup, get a guitar synth pedalboard and you're on! 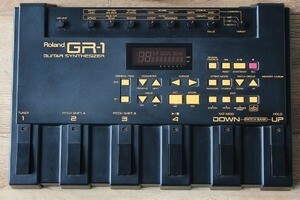 Once again, Roland leads the market with its GR-55, VG-99 or the Boss GP-10. Finally, there are also software MIDI converters, like the JamOrigin MIDI Guitar. This means you don't even need a converter anymore because you can plug in directly into an audio interface and the converter will take care of transforming the signal into MIDI data, which you can use with your favorite software (like VST synths). You've already gotten rid of your guitar? Before you sell your soul to the devil and buy a keyboard, you might want to consider a hybrid solution: MIDI guitars. They look just like an electric guitar but are meant to produce MIDI data and control a synthesizer. These "guitars" came to life to make tracking easier. They are controllers that don't require any traditional lutherie but still make use of strings. 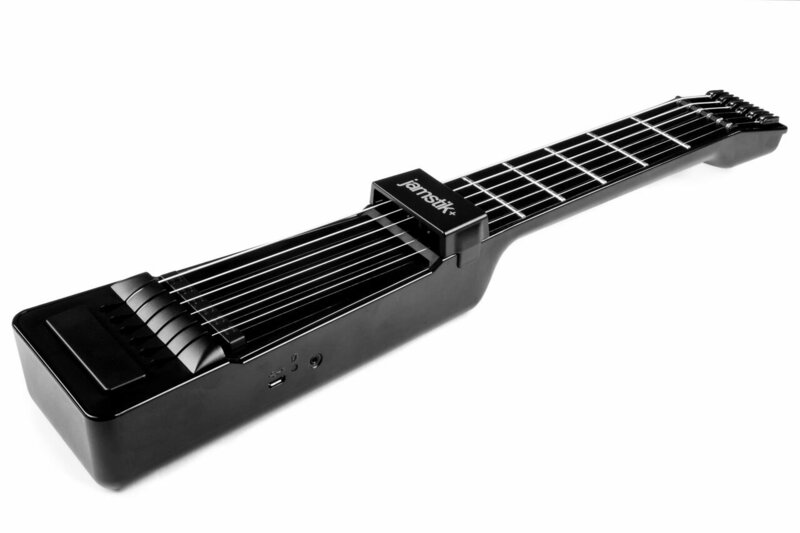 You can sometimes find true strings coupled to hexaphonic and magnetic pickups, like on the Zivix Jamstik+, or only "false" strings meant to generate MIDI data. In this second category you have the You Rock Guitar YRG-1000 by Inspired Instruments. Its keys are pressure-sensitive and you can practice tapping or hammer-ons and pull-offs with an excellent tracking, which is seldom the case with other systems. The vibrato of the You Rock Guitar allows you to achieve radical pitch changes, too. 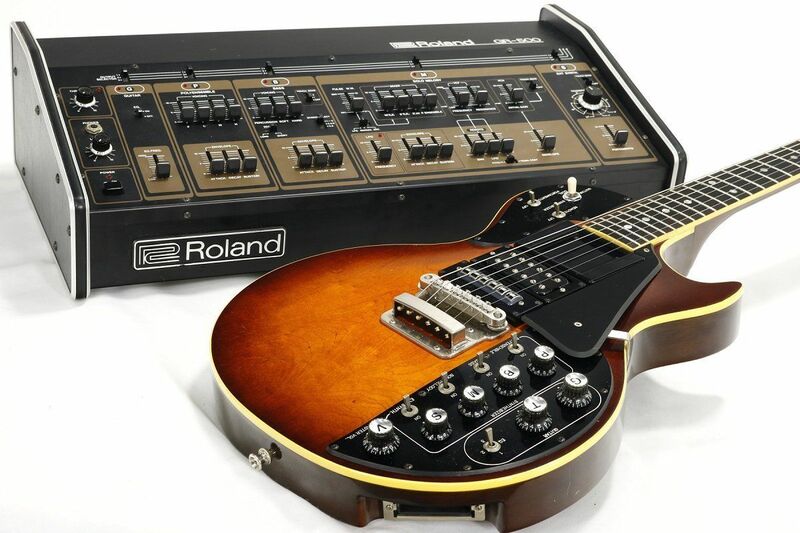 There are of course more classic electric guitars with built-in pickups, often featuring products by RMC or Roland. The goal of these "modeling guitars" is to perfectly integrate digital sounds within the instrument, be it in terms of tracking or control. 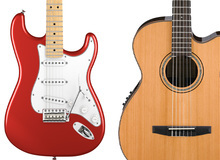 Godin is a brand that stands out in this category thanks to its Synth Access instruments, like Fender with the VG Stratocaster (conceived together with Roland), as well as Line 6 and the Variax, or even Vox with the Starstream. Do note, however, that you can't connect these guitars to any synth, because they are usually based on guitar modelings. Digital technologies have evolved exponentially since the 2000s and nowadays you can produce polyphonic sounds with an excellent tracking and almost no latency whatsoever, and without the need of pickups. There are many pedals that only require you to plug into an amp or sound system and the expressiveness of the guitar (like bends and vibrato) is perfectly translated. However, you can't control an external synth like you can with a pickup and a MIDI converter. What's more, unlike pickup systems, you can't process each string separately. An alternative to these digital pedals has been developed in recent years by "boutique" manufacturers. Most of the times they are sample-based analog devices that allow you to process the guitar signal to get synth-like sounds. The sound is often less smooth, more random and experimental, which obviously stimulates creativity. To finish, we created a short list of 18 pedals which we believe are indispensable, or at least interesting. Clicking on the name of the products you can gain access to a video of the pedal in action. If you have other suggestions, don't hesitate to tell us about them in the comments! 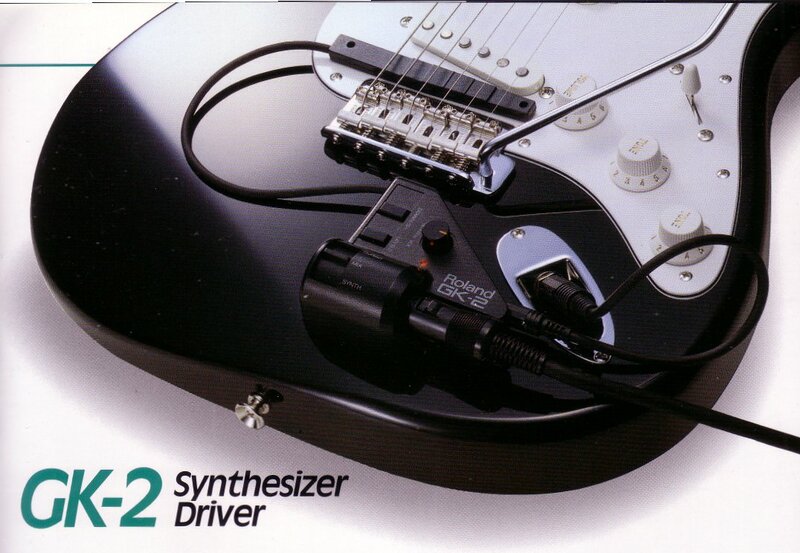 And that's it, now you know everything you need to turn your guitar into a synth. And who knows, maybe rock will become trendy again someday... so you will be able to let out the shredder in you again!